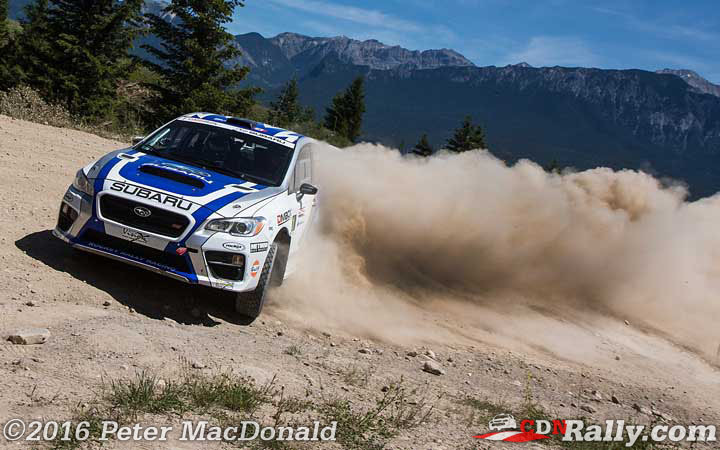 Antoine L'Estage and Darren Garrod earned their first win of the 2016 Canadian Rally Championship season with a dominant victory at the Rocky Mountain Rally. 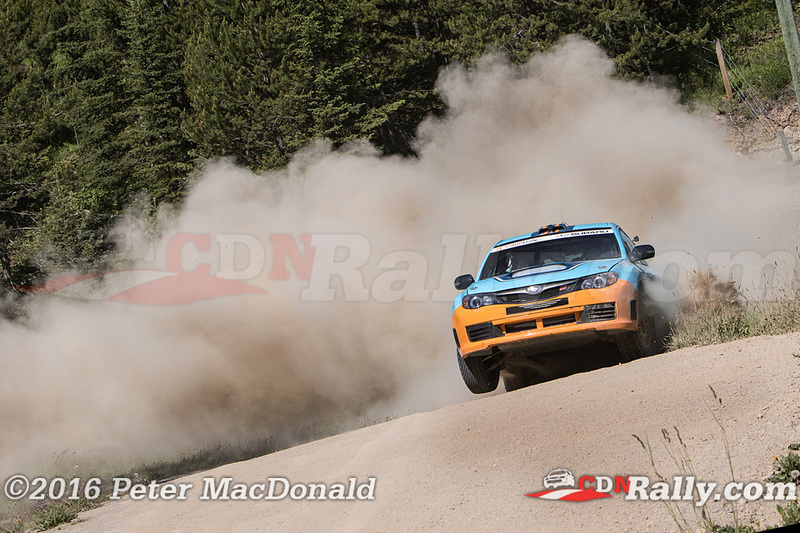 With the Invermere, BC-based event taking place in early June for the first time in several years, a 35 car field suggested that the calendar change was well received among competitors. L'Estage characteristically lead in the early stages, with Joel Levac and Boris Djordjevic giving chase. 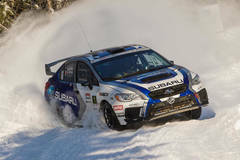 Levac and codriver Stephanie Lewis kept L'Estage within striking distance through the first four stages, running within 30 seconds of the Subaru driver. For Levac and Lewis, however, their good fortune wouldn't last. 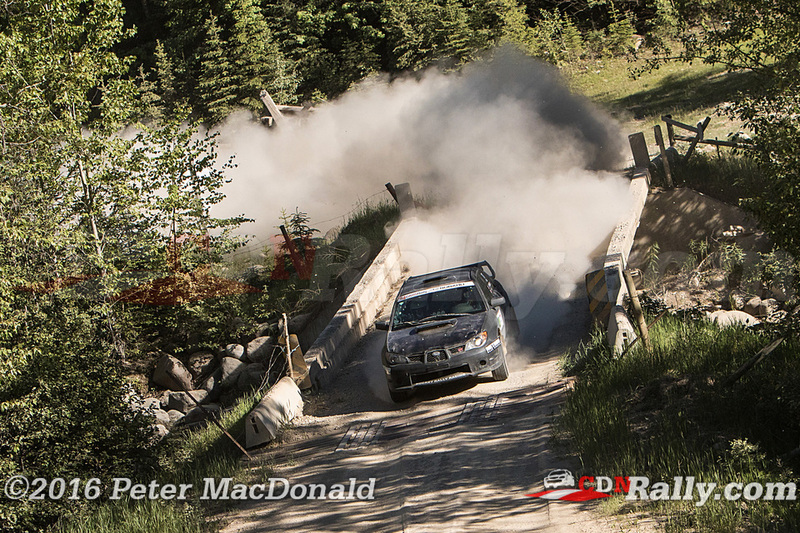 A missed note on Saturday's fifth stage caused them to go off the road and suffer an impact with a tree. 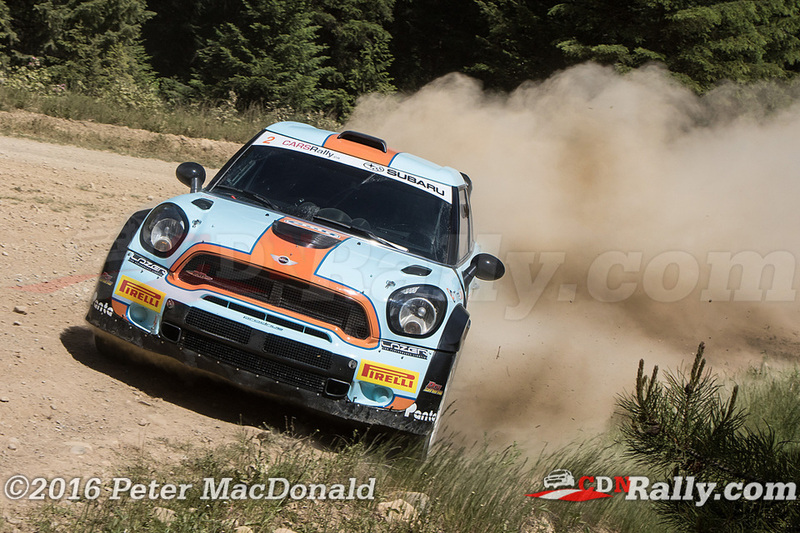 The crew were unharmed but their Mini WRC too damaged to continue. 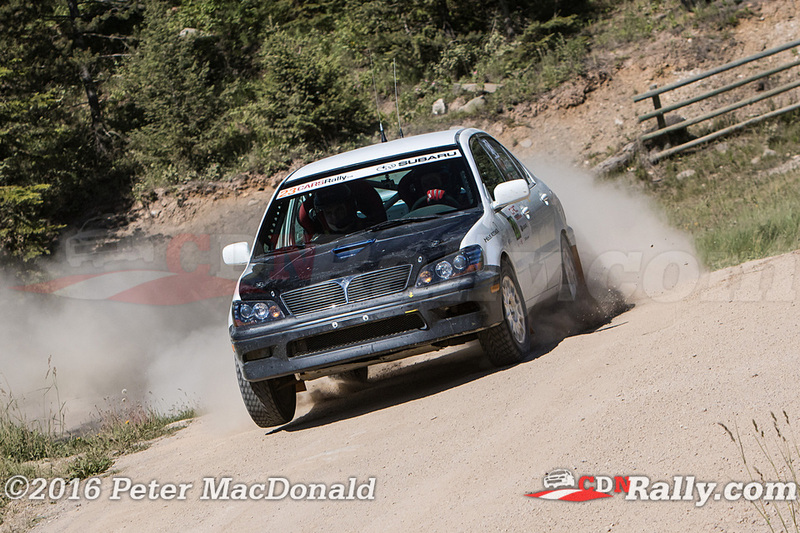 Coming into the rally hoping to challenge for a podium, Alex Beland and Lynne Murphy instead found themselves fighting transmission problems throughout the first day of the event. Those issues would eventually force the Can-Jam crew to retire and restart the following day, but they unable to gain much ground and finished well down the order. With Djordjevic holding a narrow edge in second as the first day came to a close, a battle for the final two podium spots looked to be brewing between Djordjevic, Brandon Semenuk and Hardy Schmidtke. Djordjevic held second place with a gap of roughly 29 seconds on Semenuk, with Schmidtke only a further 13 seconds back in fourth. 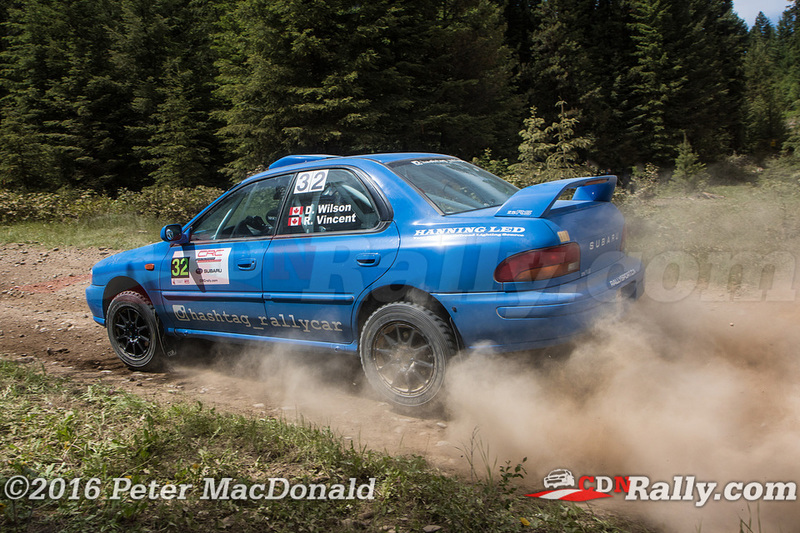 Semenuk and John Hall had to make up for their 2007 Subaru's lack of power by pushing hard as the second day began. 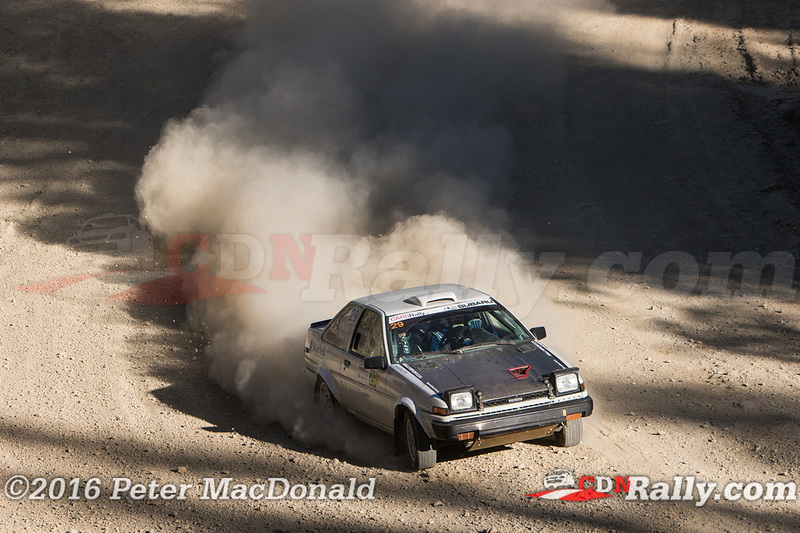 But Schmidtke and John Dillon gradually gained time, especially on the uphill stages where their power advantage was felt the most. 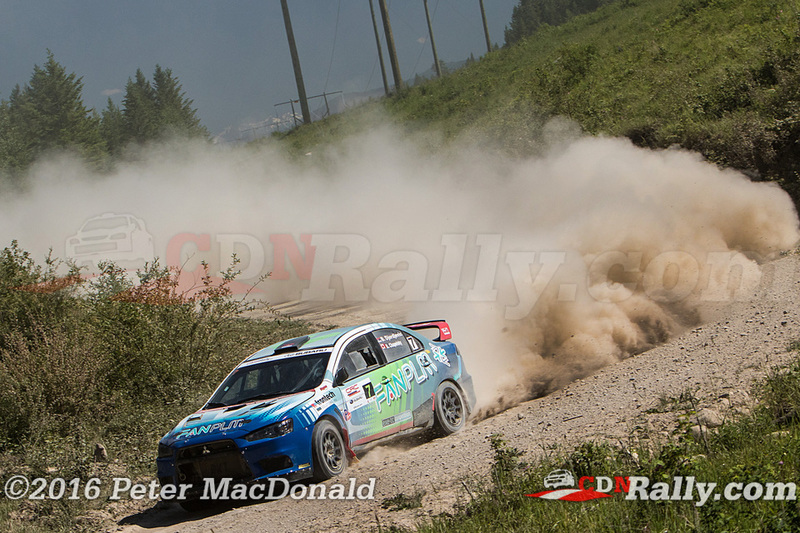 By the end of stage 8, Schmidtke had leapfrogged Semenuk, who had been suffering fuel issues early in the day. 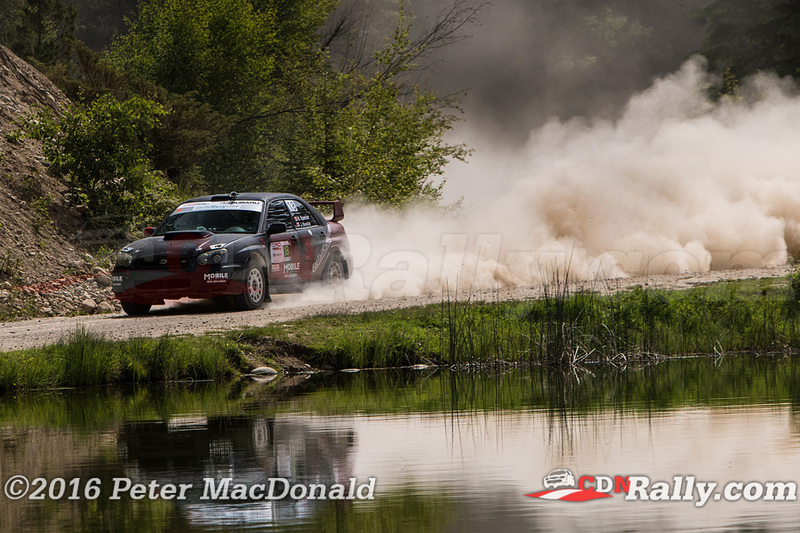 Schmidtke would hold onto third until the final stage of the rally, when his push to retain third would result in the Mitsubishi going off an exposure and crashing out. 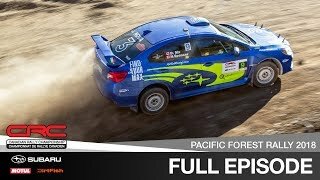 That incident handed the position back to Semenuk, who finished the event in third place - with a final stage time just seconds off L'Estage's. 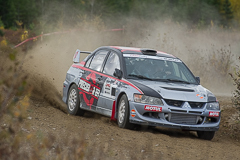 Boris Djordjevic and Robin Chapelsky came in second after running a solid event that saw them keep L'Estage's former Mitsubishi Evo X out of trouble. 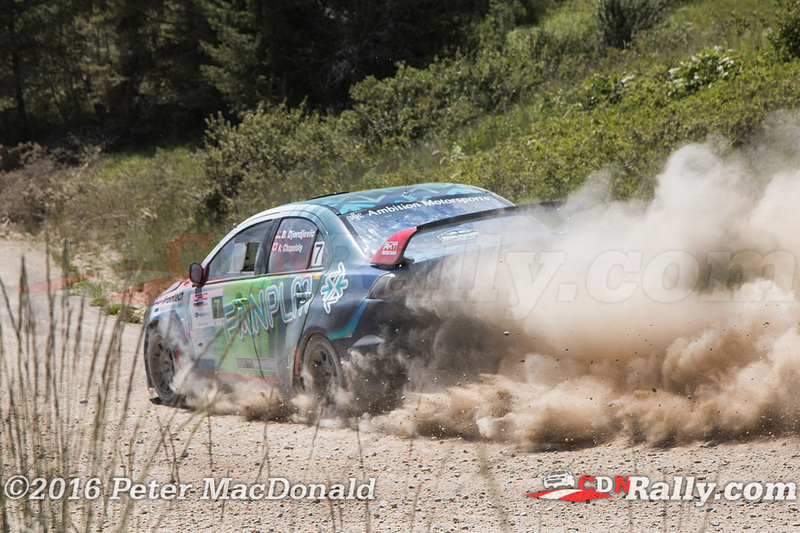 Djordjevic looks more and more comfortable in the car with each event, and the team appears to have confronted the technical issues that have creeped up in past events. But the weekend belonged to L'Estage. 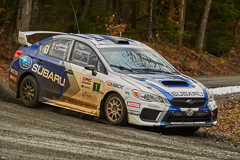 The multiple Canadian Champion notched his first victory of the 2016 season, after suffering an engine failure at the season opening Rallye Perce Neige. The victory at Rocky was also an extra special one for L'Estage. With his 44th career CRC win, he surpasses John Buffum's previous record of 43. 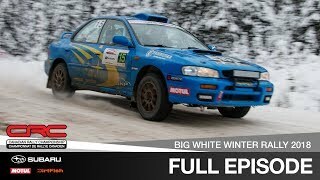 When asked about the feat, L'Estage simply replied "This is one I'll always remember." 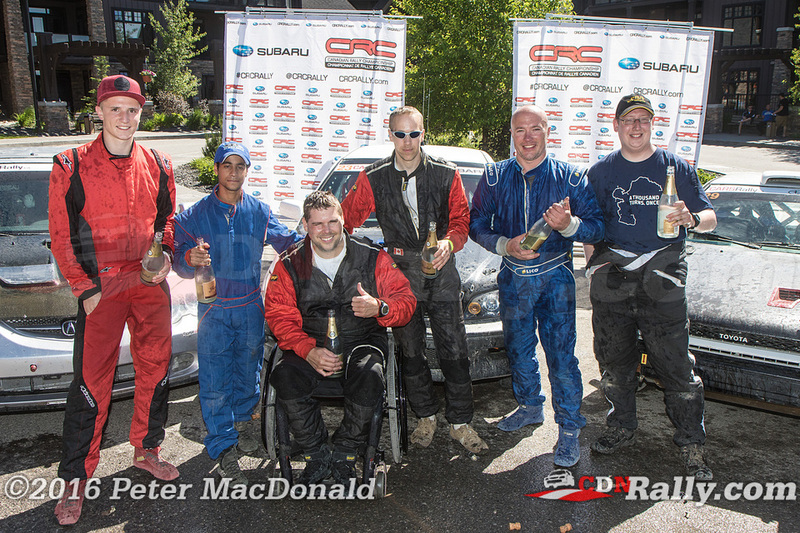 The 2WD category victory went to a pair of Canadian veterans who were returning to the series after a five year absence. 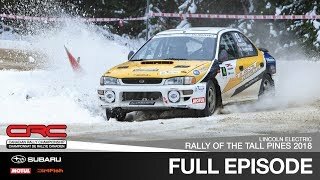 Jan and Jody Zedril - running in their trademark 2003 Mitsubishi Lancer - set blistering stage times right away, without any of the rust that one would expect from being away for so long. The Zedrils faced a challenge from Dave Clark early on, until Clark began burning oil and eventually had to retire with a blown head gasket. 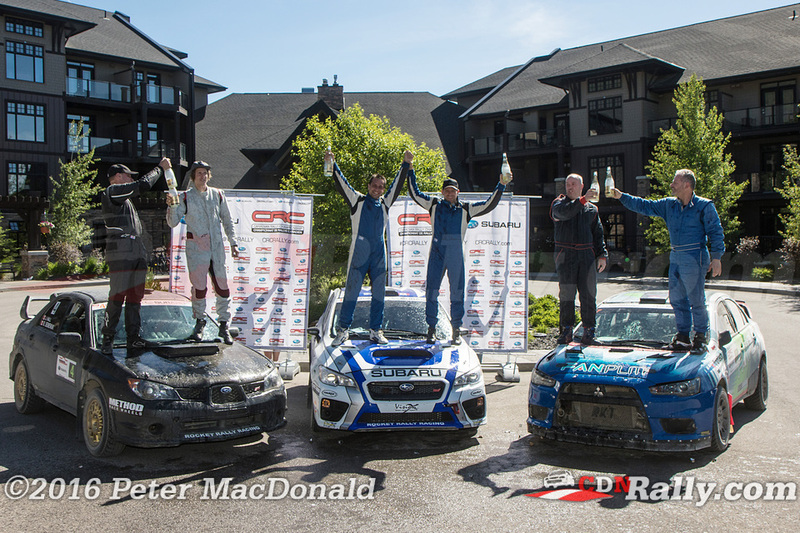 Second in the category went to Voytek Stywryszko and Peter Brook, with third going to Tanveer Deen and Michael Szewczyk. 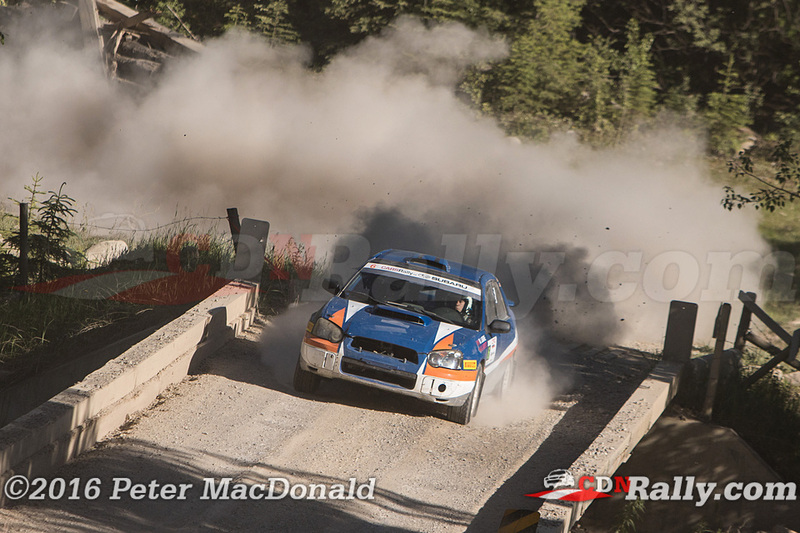 Deen and Szewczyk crashed on the very first stage of the event, but were able to climb their way back onto a podium spot. 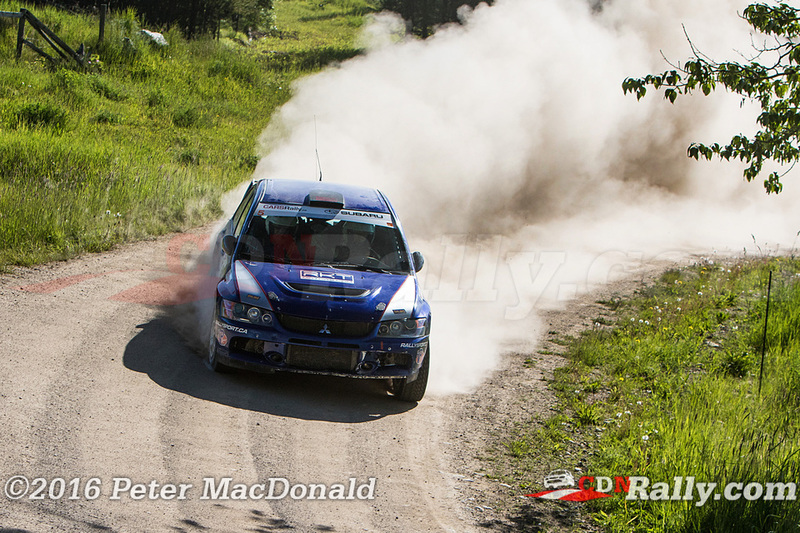 As the CRC heads back east for Rallye Baie des Chaleurs at the end of June, Maxime Labrie and Anick Barrette retain the championship lead by virtue of a 4th place finish at Rocky.